Earth Time Clock ver. 0.1 visualises current (or simulated) position of the Earth's surface in relation to the Sun (Solar Time). 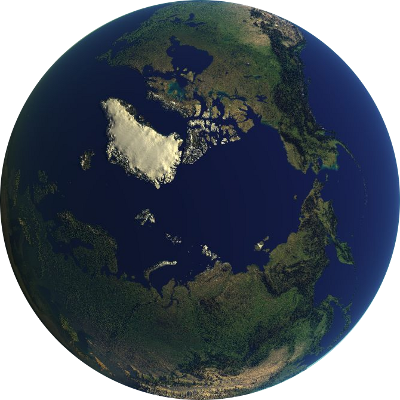 It shows view of the Earth from above the North Pole. Using control panel you can observe current or simulated Earth's position as well as Earth's rotation (play animation button). 'Equinox Or Solstice' buttons - set simulated time to equinoxes or solstices to show Earth's illumination in different seasons. 'Daylight Saving Time' checkbox - If switched ON, time in timezones table below the switch is adjusted one hour forward. Earth Time Clock requires browsers with CSS3 support that means you could not be able to run all its features on older versions of internet browsers.